Josephine's in my mind, is the perfect place to celebrate my Nanay and Kurt birthdays having experienced dining here 2 years ago. So, we headed back to the restaurant near Ayala Malls Serin after our country walk at Sonya's Garden. 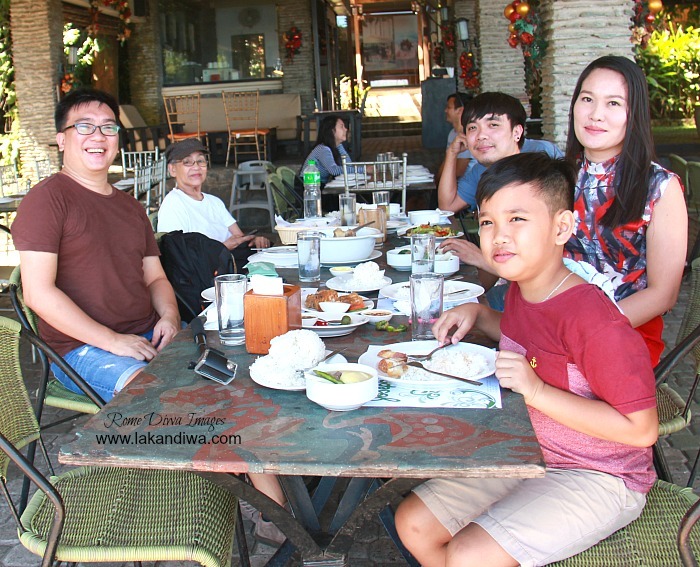 The restaurant offers the best view of Taal lake and volcano and serves all-time Filipino favorite dishes which my Nanay absolutely liked. Unlike my previous experience when we have to wait to be seated, the main restaurant was empty when we arrived around 11 AM. With Modern-Filipino interior and air conditioning system, the high-ceiling main dining area that also offers panoramic view of Taal lake and volcano would be best to dine during hot summer days. It was such a lovely day, sunny but chilly, two tables were occupied by group of Chinese tourists at the al fresco area playing card games. We also picked another long table outside to have a better view of the lake and volcano and take advantage of the kinder blew of the fresh and cool air of southern Luzon. 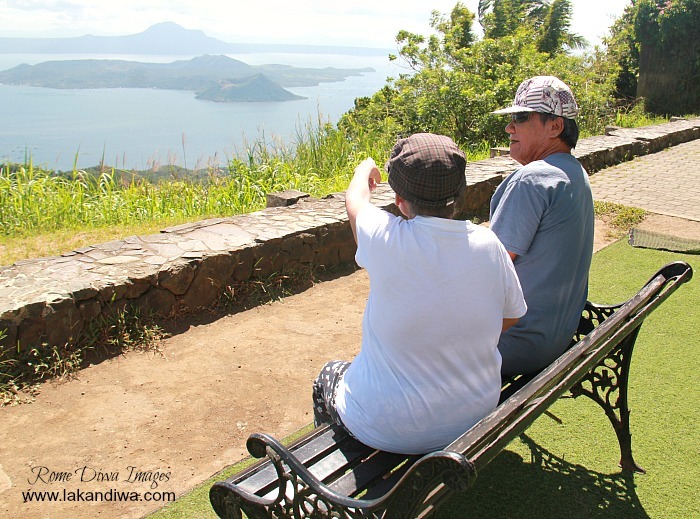 Nanay and Kurt were so delighted to finally see Taal Volcano so real and so close. "I only see it in books and pictures, now I've seen it personally", Nanay said with wide smile on her face that I haven't seen for months. 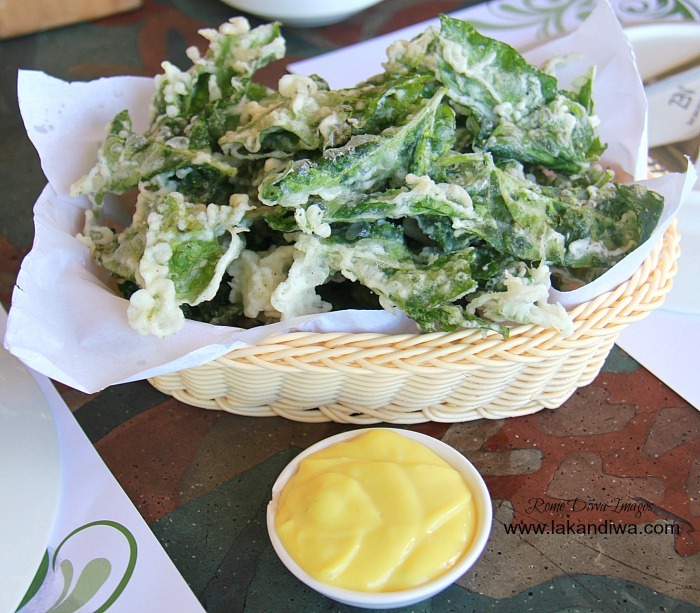 We started with Crispy Kangkong (Php 220) while waiting for other dishes. 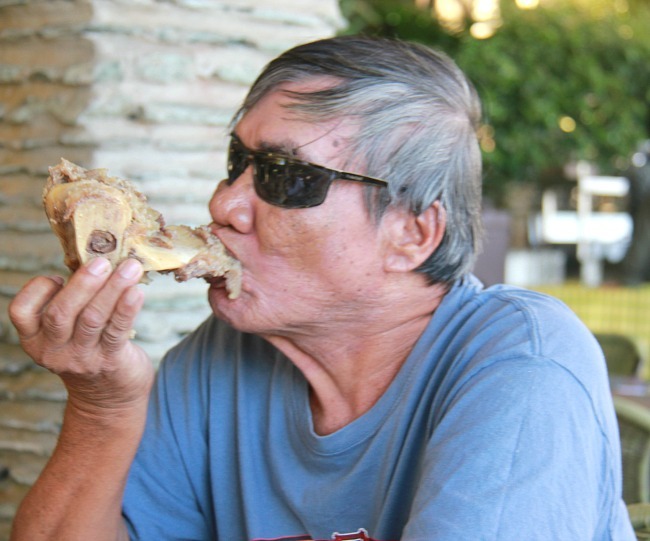 Tatay liked it and amazed how they made it so crispy. 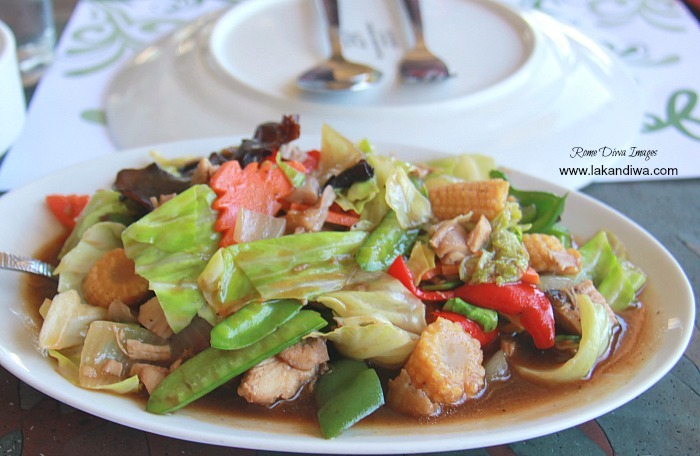 Nanay's choice was Chopsuey which was perfectly done according to her liking. 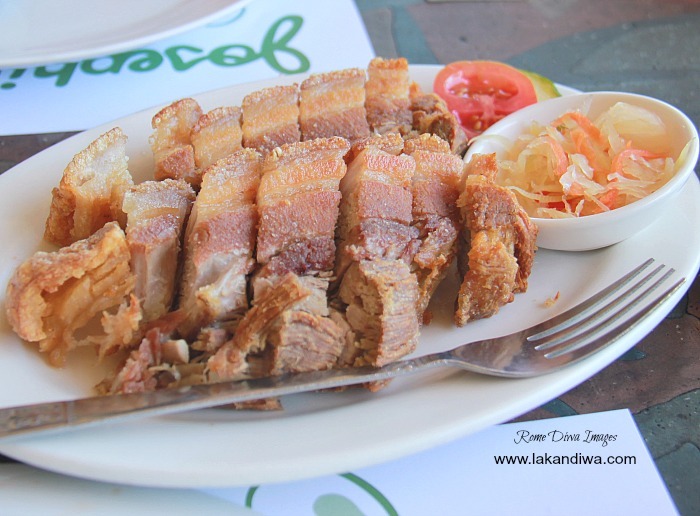 We also ordered Lechon Kawali (Php 380) and Mango Salsa (Php 160) to complement with. 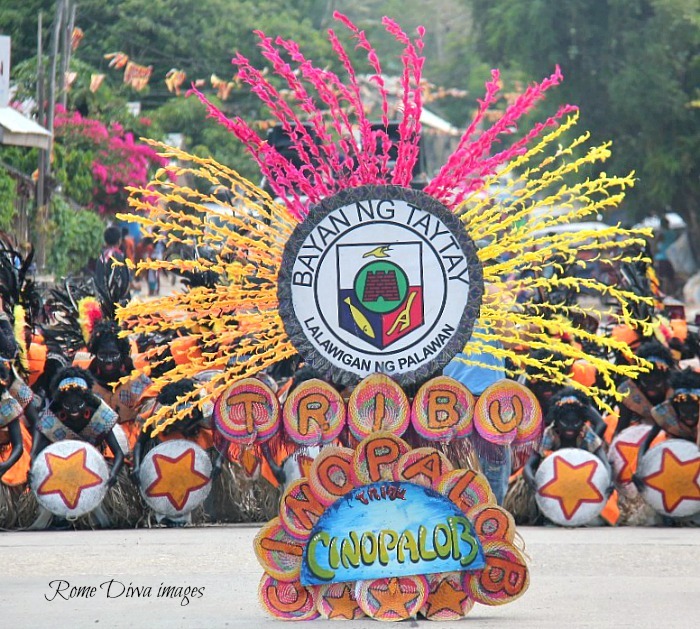 It was good but nothing beats the Lechon Kawali of Syudad by Barrio Fiesta so far. 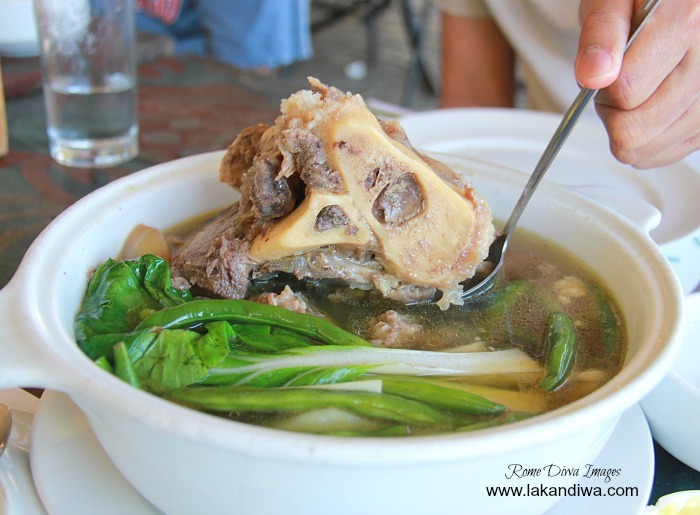 The prime attraction of our appetite is of course, Bulalo Soup (Php 840) in large bowl with lots of vegetables and tasty soup. It was big, steaming hot when served - the soup alone can satisfy my hunger. Sorry for bad angle of my Bulalo picture but it was meaty on the other side. The meat was tender, veggies were cooked right, and the large bowl was just enough for all of us. Who wins the bone marrow is obvious, lol! Josephine's has been in this business for such a long time as proven by the great service they provided us. Offering glass of water the moment we settled-in is I think fundamental and a sign of good service according to my standards and I'm pleased they do. We were at home - It was like a birthday celebration with extended family when we celebrated my love ones birthdays here, they did not come unprepared for such occasion. Take a look how the crew played and sing Happy Birthday song with us. Nanay was so overjoyed to see strangers celebrating her life with us. A delightful lunch indeed. 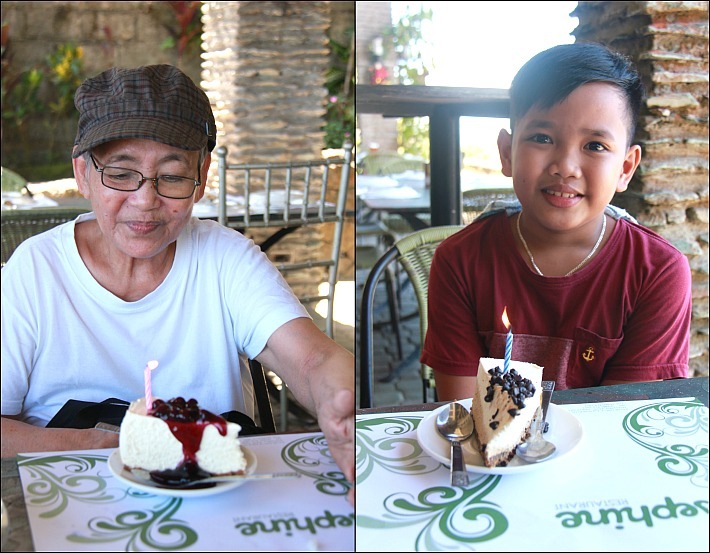 It’s a nice place to celebrate milestones in your lives when in Tagaytay with your love ones, family or friends. 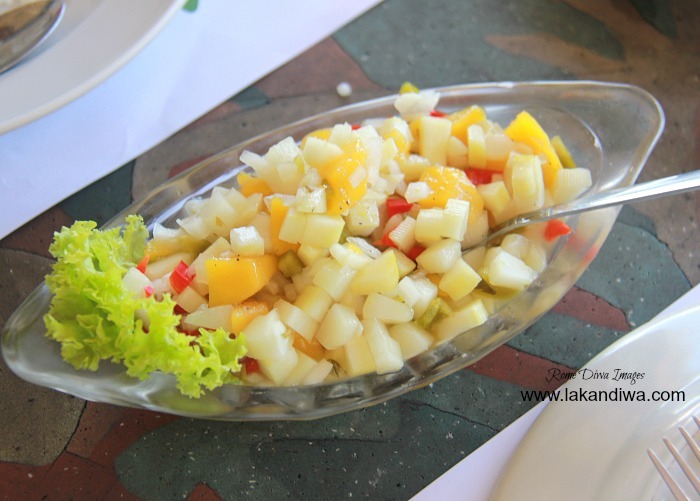 Serving not only Filipino favorite dishes but also offers great view of the lake and provide exceptional service guaranteed to keep you coming back again and again. 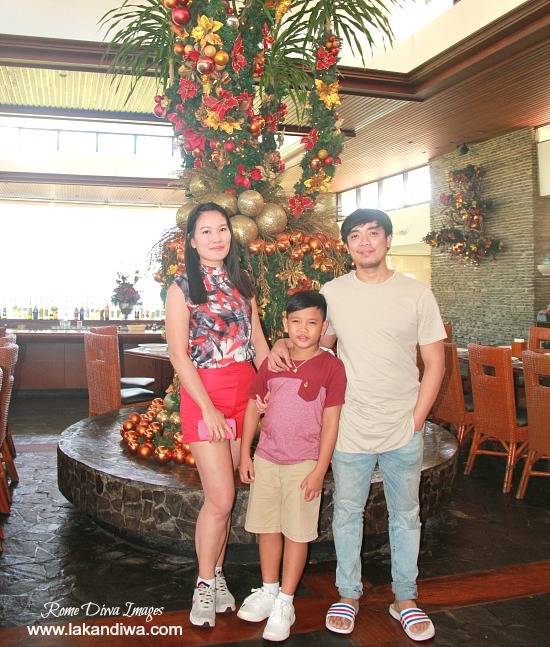 It may be hard trying to get some quality time with your family out of your busy schedule but you gotta clear your calendar for such special moment and dine-in at Josephine's - Tagaytay. Because here, you’re at home.